For the first time in 40 years, the agricultural sector has recorded five consecutive quarters of growth—spanning from the first quarter of 2012 to the first quarter of 2013. This was announced by Food Production Minister Devant Maharaj in a statement to the Senate yesterday. He said the food price inflation rate moved from 24.1 per cent in the second quarter of 2012 to 3.7 per cent in October 2013. There was also a reduction in the headline inflation rate from 11 per cent in the second quarter of 2012 to three per cent in October 2013. Maharaj gave figures from the Central Bank on the quarterly gross domestic product to illustrate the movement of agriculture from a minus position to a positive position. 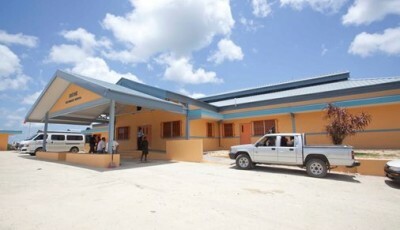 It was minus 5.1 per cent in the second quarter of 2012; minus 4.3 per cent in the third quarter of 2012; 1.5 per cent in the fourth quarter of 2012 and 5.1 per cent in the first quarter of 2013. 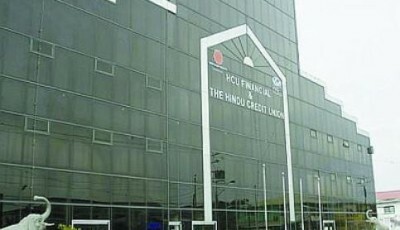 “The Central Bank of Trinidad and Tobago’s Summary of Economic Indicators for September 2013 showed that growth for the first three quarters of 2013 remained positive and steady, with growth of two per cent for the second quarter of 2013 and 1.9 per cent for the third quarter of 2013,” Maharaj said. He said one of the challenges the sector faced and which contributed to the decline of the sector was praedial larceny. 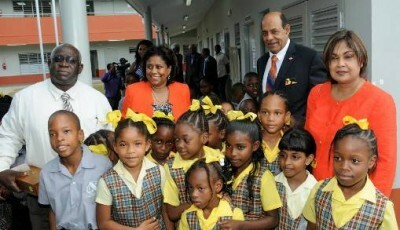 In 2013 the Praedial Larceny Unit was launched in the Ministry of Food Production. He said to date there have been 348 mobile patrols, 12 food patrols, 501 visits to markets and to farmers, 20 reports were made, 12 reports were solved, eight reports are under investigation and one person has been arrested for praedial larceny. 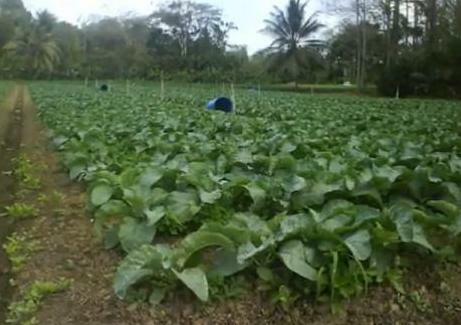 Maharaj said the growth experienced in the agriculture sector occurred because of the efforts of the Kamla Persad-Bissessar-led People’s Partnership government. 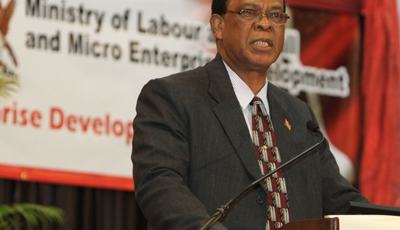 “All the indicators I have seen point to a continued projected growth in 2013 due to the continued positive impact of the National Food Production Action Plan 2012-15; the expansion of the commercial large farm initiative through the regional arrangement with Guyana and local implementation efforts; the launch of the Caroni Green Initiative; the review and implementation of a more structured approach on the Agricultural Incentive Programme with special incentives for the larger farms; the re-launch of a strengthened Praedial Larceny Unit and continued efforts to distribute leases to farmers. Maharaj said prior to 2010, the former administration overlooked the issues of rising food prices, declining production levels due to climate change and rising demand for food to the detriment of the agriculture sector. He said when the People’s Partnership government assumed office in May 2010, the food inflation rate was in the high thirties and growth in the sector was in the double digits and rural communities were falling apart.